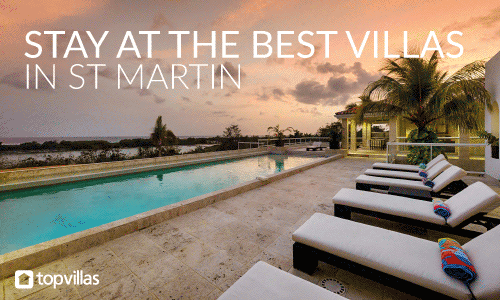 Luxury villas on St Martin accommodate your many styles and options. 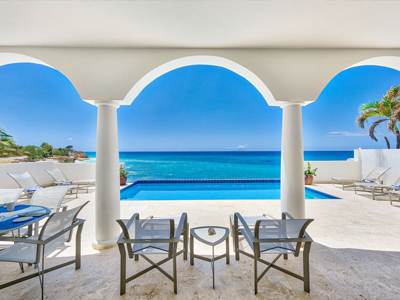 St Martin vacation rentals are luxuriously decorated, featuring tropical elements with modern amenities, and they are perfect for all types of travelers, from honeymooners seeking a romantic escape, families looking for a Caribbean adventure and couples or friends in the island party mood! 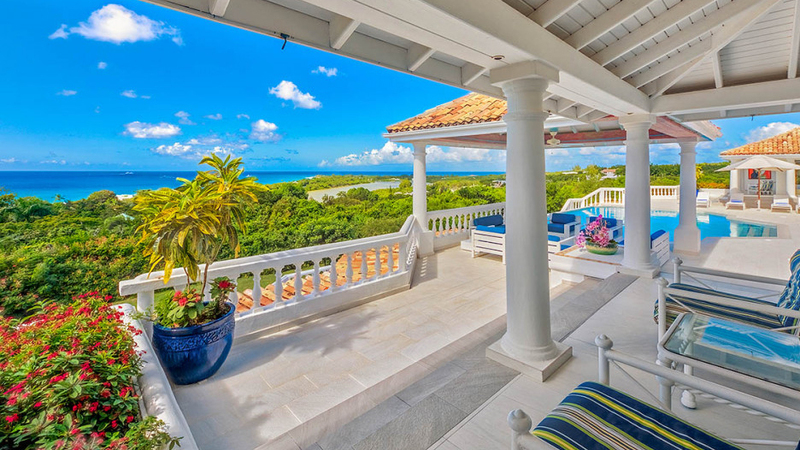 Most St Martin villas & vacation rentals are just feet away from the beach and exciting water sports, and a short driving distance from dining and golf. 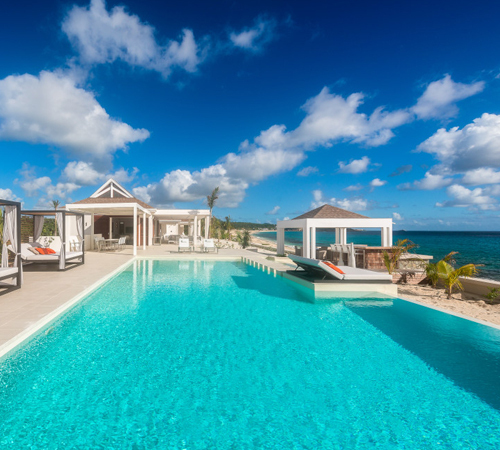 We could go on, but you you should book today and experience for yourself why so many people are returning to St Maarten villas & vacation rentals year after year. 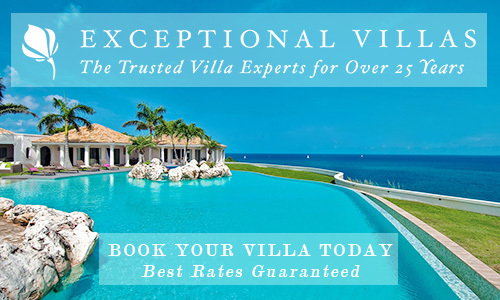 To protect your St Maarten villa vacation, we highly recommend AXA Travel Insurance: Redefining Service. 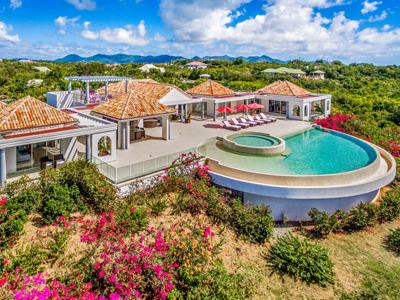 Compliment your St Maarten villa vacation by making use of a number of island services available. 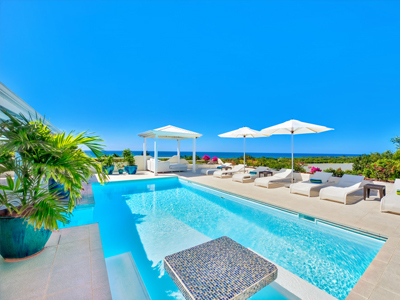 Begin by booking your St Maarten rental car, on-site couple's massage or even the perfect St Maarten island wedding. Need help? 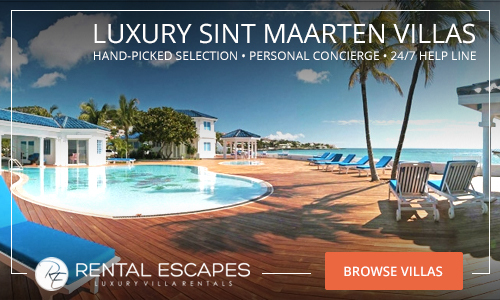 Just ask our team of St Maarten professionals using the contact form below! We are your go to resource for everything St Maarten! 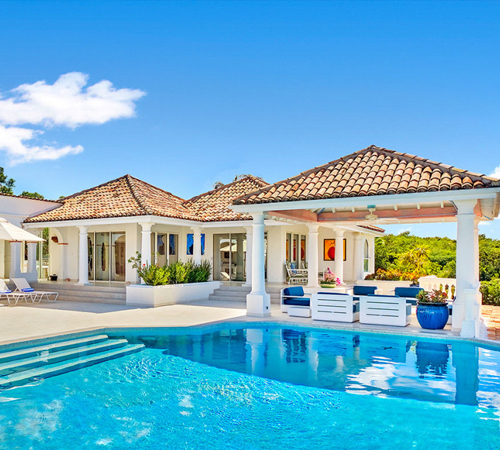 Another useful service which we recommend you make use of is pre-stocking your St Maarten villa rental with groceries to make your first day on the island worry free! Need suggestions on dining? We're happy to share and even make your St Maarten restaurant reservations for you. Whether's it's celebrating a special occasion or milestone, we can arrange that for you! TEP Wireless - Looking for WiFi anywhere you go in SaintMaarten? Rent a pocket WiFi for Tep and leave all roaming charges behind! 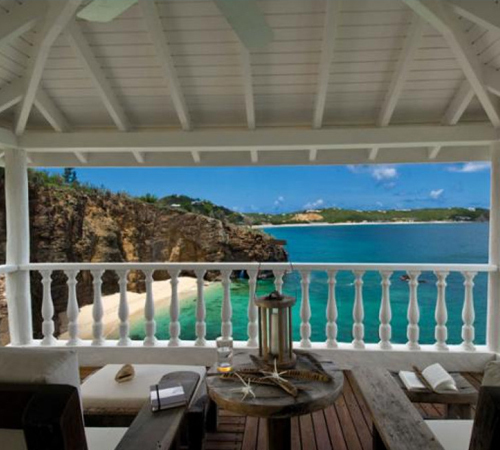 St Maarten private chef services are available at your St Maarten villa rental. Whether you need the professional services for one meal or several throughout your stay, or even to celebrate a special event with loves ones and friends from birthdays, anniversaries, reunions and more - we can help you arrange these services. Menu selections vary from local inspired Caribbean and French Creole dishes to French, Italian and International fusion with flair! Just relax and let the professional take care of you and your guests. We highly recommend you make advance arrangements for this exclusive service. There are numerous treatments available on St Maarten ranging from couple's massages, wraps, manicures, pedicures and styling. If you prefer to have these spa services delivered to your St Maarten villa, simply have us arrange this for you. Our guests enjoy facials, organic wraps, manicures, and pedicures. Planning a destination wedding and want to pamper your group of loved ones and guests, let us arrange a special treatment for you - grooms as well! Licensed male and female massage therapists are available on island, but are subject to availability and your advance reservations are most highly recommended. St Maarten is a water sports paradise with so many options for underwater discovery and on-water play available during your St Maarten villa stay. Discover Scuba Diving in St Maarten and visit bustling dive spots on this beginner's discovery, or book a St Maarten snorkeling adventure to Creole Rock and Pinel Island. 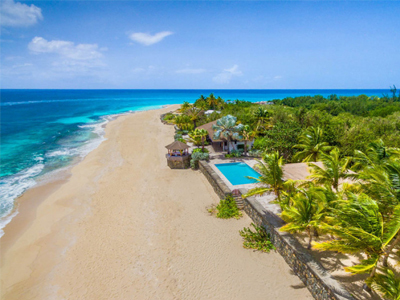 Cruise along the coast to Tintamarre island by powerboat, or feel the tropical tradewinds on a sailing trip to Anguilla. From jet ski rentals and parasailing adventures, to kitesurfing, get ready for plenty of wet and wild adventure both above and below St Maarten's turquoise waters! Get in touch with our travel professionals for custom itineraries and tours, or for help booking your visit to St Maarten. Do you own property? Email Us to learn more about our listing opportunities. We also work with Booking.com, we are more than just hotels. 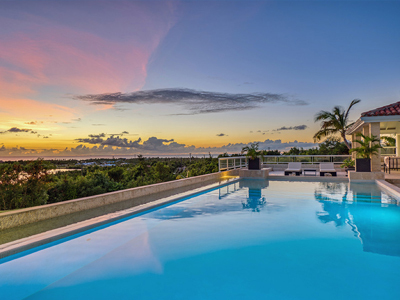 We’re always searching for new homes, apartments, and other unique places to stay in St Maarten that inspire travelers. Register here to partner with Booking.com.